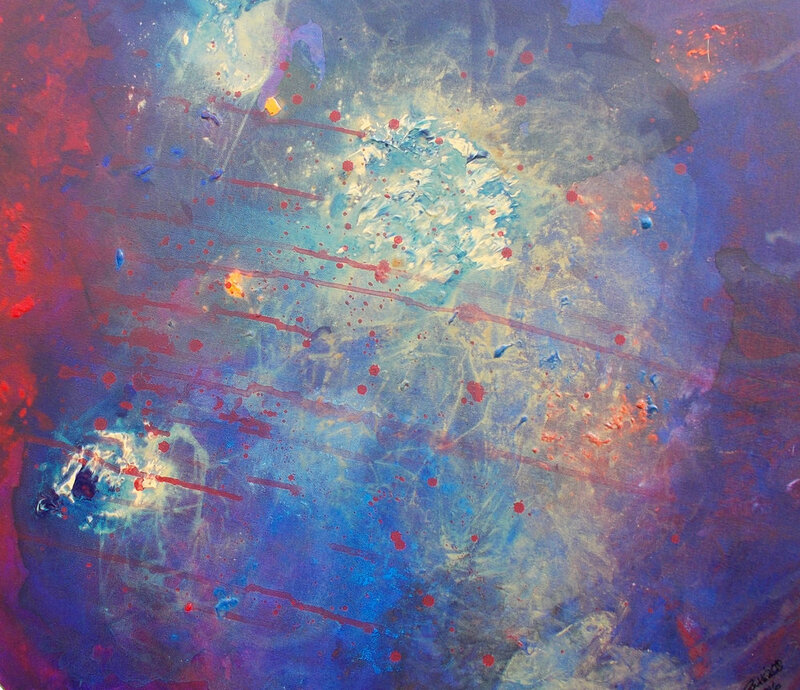 I am an abstract painter and video artist, and I knew from a very early age that "my calling" is to be an artist. I bring all of my life experiences, the good, the bad, the challenging and the unresolved, to my work, and long-term hope to develop strands of work that encourage people who don't consider themselves as arty to get involved. I am fascinated by the moon, by nature and the world around us; I create a lot of my paintings in a spontaneous, unplanned way; this is often in response to music that I am listening to, dreams or just as an experiment. I love bold colours and strongly believe in the healing power of art. Original paintings or prints can make a unique gift, brighten up a room or an office, or act as a reminder of a special place or moment. Please don't hesitate to drop me a line if you have any questions or would like to commission a painting, I would love to hear from you! I have a number of exhibitions coming up (both solo and group), if you would like to stay up to date regarding these events, or to receive news of current works-in-progress, please don't forget to sign up to my monthly newsletter! Alongside art, I practise tae kwon do, and I've written more about this here - please have a read of my blog if you have a few spare minutes! I will be exhibiting an entirely new set of paintings at the lovely Yum Sa restaurant in Putney, in June. There will be an evening launch event and canapés & drinks will be served. If this is something you might be interested in attending please leave your details here, and I will get back in touch as soon as I have more information. I'm on the look out for more venues to exhibit in, so if you run a cafe, gallery, art space, library etc and like my work do drop me a line. I'm now on the look out for businesses throughout the UK & Ireland who would like to take part in a referral scheme. More details can be found here. Contact me via email: catherine@ostaralondon.co.uk or by using the social media links below. Postal Address: Ostara London, 3rd Floor, 86-90 Paul Street, London, EC2A 4NE.